Drew Houston was upset. On a long bus ride with a pile of work to do, he’d forgotten the thumb drive with all his files — before the cloud, back when that used to mean ‘game over.’ Minutes later, he was coding a solution to the problem. 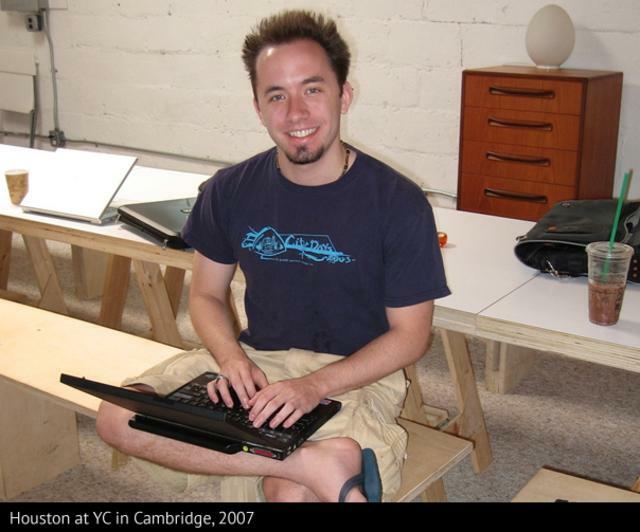 Seven years, $257 million in funding and over 100 million users later, Dropbox is widely accepted to be Y Combinator’s most successful alum. In this First Round CEO Summit talk, Houston shares how he went from solo programmer to the CEO everyone’s watching. “There’s always that first line of code,” says Houston. And indeed, that is how most startups begin: with code, and the coder who wrote it. The vast majority of founders have technical expertise and must learn the rest as they go. For Houston, this has been a dedicated process, almost an art, as Dropbox has grown from a one man show to over 300 of the smartest people in the Valley. The hardest transition was going from working directly on the product to not. In the early days, Houston, who started programming as a kid, had ultimate freedom to create and decide what was best for Dropbox. He made the first two 3-minute demo videos himself, releasing the first on Hacker News — where the glowing feedback inspired him to quit his day job — and posting the second, chock full of fun ‘Easter eggs’ to Digg and Reddit. The response was ecstatic. Within a day, video #2 was at the top of Digg, spiking Houston’s wait-list from 5,000 to 75,000. Programming has always been Houston’s strength, but there were a number of other areas where he had zero experience. “I didn’t know a lot about these other things that really matter in business, from marketing to sales to management,” he says. 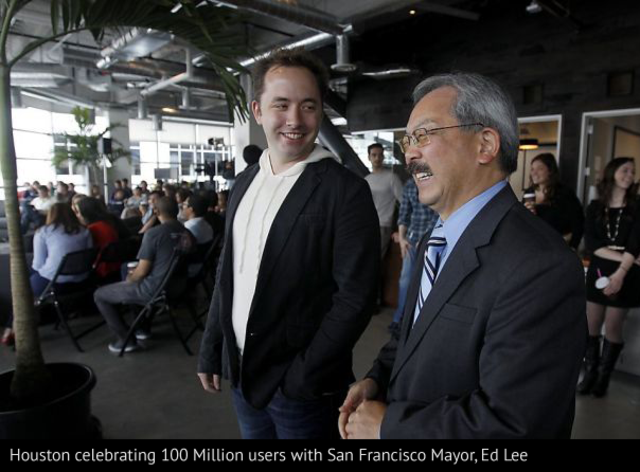 So, when Dropbox started to take off, his first order of business was to read. A lot. “Reading a book about management isn’t going to make you a good manager any more than a book about guitar will make you a good guitarist, but it can get you thinking about the most important concepts,” Houston shares. Tapping knowledgeable resources also became a prime directive. “It’s a mix of a variety of different things, like mentors — people who are experienced and have been through the process many times — and peers. Some of my best friends are Y Combinator founders, and we all went through the same kind of thing at the same time.” Dropbox’s early board also helped him recognize patterns and gave him an idea of what he should be thinking about. In the end, his attitude proved to be the most important resource to draw on. Still, something about the conversation struck a chord. Overtime, It sunk in that culture isn’t just about keeping employees happy, it’s about how the company will run in the future. Things like culture and a shared vision are tools to decentralize decision making. “When your company grows, communication overhead becomes so much bigger, so how do you start to get people to make decisions along a similar framework that you would? I started to understand how these pieces fit together over time.” Looking ahead to when Dropbox has 1,000 or even 10,000 employees, it will be critical for core values to be embraced through the ranks. “We tell people, ‘You might have just joined last week, but sooner or later, you’ll be an old school Dropboxer too. So remember the things you like about this place now, because it’ll be your responsibility to make sure those things stick around." In this high-speed, high-impact environment, projecting a successful future requires facing tough situations in the present. Company culture can become unspun as hiring speed trumps rigor, and people who were great in the beginning may not be so great later on. These problems couldn’t be further away from coding alone in a dorm room, but Houston is proof that solutions can be learned on the job.